The notice comes in an official looking envelope. In bold, all capital letters, the envelope reads: “IMPORTANT PROPERTY INFORMATION RESPOND PROMPTLY”. A warning is printed regarding obstructing the delivery of the letter. All of it looks very official. Then off to the side, and in some cases in smaller print it reads “This is not a government approved or authorized document”. But very few notice the smaller print and don’t realize this could be considered junk mail. The correspondence inside indicates it is from the “Local Records Office”. The correspondence indicates that for a small service fee of $89.00, a copy of your recently recorded deed and property profile to confirm you as the property owner of your property will be provided. The correspondence typically lists your name, and the property address, as this “Local Records Office” is using the public records to complete this form letter and send it to you right after a deed has been recorded. So what is the problem? It sounds like a service that might be needed, right? Well the problem is that clients are receiving this official looking correspondence and paying the fee without realizing what it is. This “service” is providing a copy of the same document that my office just recorded for them. My office will be sending the original of the same document back to the client – so having a copy is not valuable at all. In other words – you are paying for a copy of a document which you will shortly have in your possession. As the correspondence contains a warning that this company is not affiliated with a governmental agency, they are apparently immune from lawsuits. There is language indicating it is a solicitation for services and not a bill due, but I can attest that it looks so official, and has your name, assessor’s parcel number and other information. With all of this information provided, it looks like it could be from the County. It sickens me that so many people fall victim to this. While it may not be a scam per se, as you do get a copy of your deed and a property profile if you pay for the service, it is a waste of money when both of those items would either be provided by my office or easily obtained through your own public records search. I would urge you to contact our office if you receive any paperwork relating to your property with such a service listed. We are happy to review it for you, and advise you that correspondence like this needs to be shredded and placed in the circular file. The Medicare Access and CHIP Reauthorization Act (MACRA) of 2015, requires Medicare to remove Social Security Numbers (SSNs) from all Medicare cards by April 2019. The new cards will have a new Medicare Beneficiary Identifier (MBI) that will be used for billing and for checking your eligibility and claim status. This will happen automatically. You will not be contacted by anyone asking for any personal information. If you receive a phone call or email asking you to give or confirm information or make a payment to receive your new card, it is fraudulent. You can get more information from Centers for Medicare and Medicaid Service or the Federal Trade Commission. Sheri will be speaking to a women’s church group about estate planning on Tuesday, August 16, 2016 in Santa Cruz. If you are interested in attending, please call our office at(408) 354-0200 for more details. Leslie Yarnes Sugai and Sheri Sudweeks were recently interviewed for a local real estate television program, Kapowich on Real Estate. In this episode, which is the second of a two part series, they discuss estate administration issues. 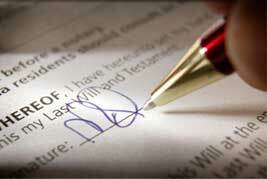 Discussion of what constitutes an estate administration, trust administration and probate. How long you should expect these processes to take and how they affect the sale of real estate. The on-going administration of Special Needs trusts and how they are administered to bring additional benefits to persons with disabilities for their lifetimes. The ownership of real property by a special needs trust. Discussion of Guardians of the person and estate of minor children and the limitations of the control of the assets when a trust is not utilized. Understanding the term Private Professional Fiduciary and the role that they can play in the administration of an estate by court appointment in a contested matter or by the election of the person who creates the estate plan. As Tax season approaches make sure that you do not fall victim to the fraud and scams that abound. Listed below are some of the events that are being hosted by the Federal Trade Commission and its partners on how to minimize your risk what to do if your identity is compromised. • January 26, 2 p.m. – an FTC webinar for consumers, co-hosted AARP’s Fraud Watch Network and Tax Aide Program. Learn how tax identity theft happens and what you can do if it happens to you. • January 27, 11 a.m. – the FTC and the Department of Veterans Affairs (VA) will host a Twitter chat with information about tax identity theft for veterans. Join the conversation at #VeteranIDTheft. • January 27, 2 p.m. – the FTC, TIGTA and the VA will host a webinar with information about tax identity theft for veterans. • January 28, 1 p.m. – the FTC and the IRS will co-host a webinar with information to help victims of tax identity theft. • January 29, 2 p.m. – the FTC and the Identity Theft Resource Center will co-host a Twitter chat about tax ID theft. Join the conversation at #IDTheftChat. For more information on each of these events go to the Federal Trade Commission website. You can also visit www.IdentityTheft.gov, the government’s one-stop resource to help identity theft victims recover. While this is a repeat of a blog from several years ago, it may be a help to some of you as we enter this holiday season. The best gift that you can give to a nursing home resident is a visit. If you cannot visit or want to do something extra for the holidays or their birthday, the following is an adaptation of a list published by the California Advocates for Nursing Home Reform in the winter of 2011. A new pair of slippers or a robe in a favorite color. A gift certificate for a haircut, massage, or manicure. Recent pictures of family and friends in an album, frames, or a bulletin board. Video record a family event that the resident was unable to attend and enjoy watching it with them. A subscription to a favorite magazine or newspaper. A personal television for the resident’s room or wireless headphones for their television. Tote bag for walker or wheelchair. Lottery Scams: You (haven’t really) won! At least once a week and sometimes as frequently as once a day, I get calls from clients and potential clients about lottery winnings. 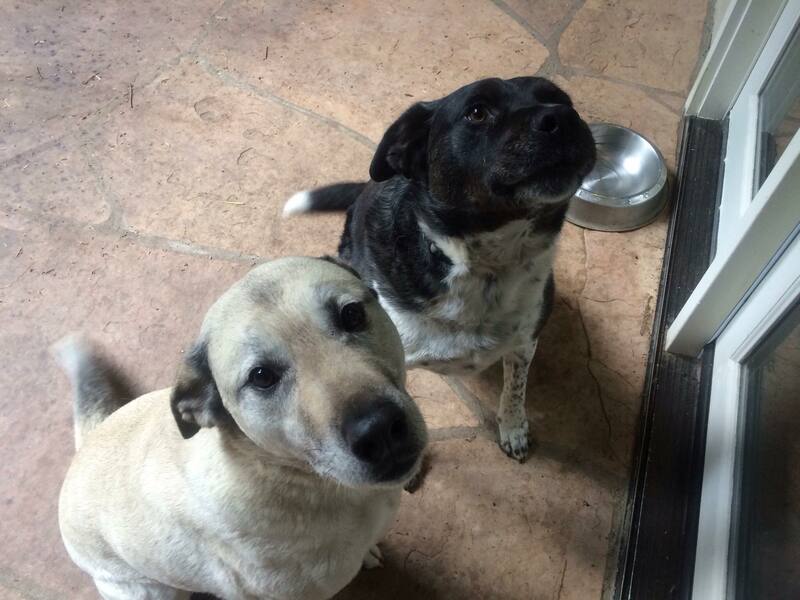 Often, by the time they seek legal advice, their money is gone. The Federal Trade Commission has been actively working to stop the lottery fraud and scams, but new ones emerge much more quickly than old ones are shut down. However, the ftc.gov website is a good resource for checking out the latest information on known scams and for reporting new ones. I have included an article from their website below. For years, we’ve been hearing about lottery scams: the imposter who convinces you that you’ve won the lottery (you didn’t) – and all you have to do is pay some fees to collect your millions (you won’t). And for years, we’ve been hearing about lottery scams that originate in Jamaica, where telemarketing lottery scams became a cottage industry in some parts of the island. Here at the FTC, we’ve helped criminal law enforcers investigate these types of cases. I’m happy to report that our sister agency, the Department of Justice, recently extradited a Jamaican man on charges that he was part of an international lottery scheme targeting older adults in the U.S. He’s the first person to be extradited in this kind of case. According to the indictment, a 28-year-old Jamaican man, Damion Bryan Barrett, called people in the U.S., spoofing phone numbers to make it look like the calls came from the U.S., and often claiming they were calling from the IRS or Federal Reserve, or a well-known sweepstakes company. Barrett, the indictment says, told people they had won cash and prizes – which they could collect if they sent up to thousands of dollars in “fees.” Then, Barrett and his colleagues allegedly told people to send money to middle-men in southern Florida, who sent the money on to Jamaica. But, says the indictment, not a single person actually got any money from their – ahem – winnings. If he’s convicted, Barrett faces prison time, a fine, and mandatory restitution to the victims of his scam. But whatever happens in court, this extradition shows how serious the Department of Justice and its law enforcement partners are about cracking down on people who try to defraud American consumers. That’s good news for all of us. Meanwhile, if you get a call or email that you’ve won something, follow this advice: never send money. And report the call or email so we can help in the fight against these scammers. At Sugai & Sudweeks, LLP we get calls and emails daily from clients and potential clients who have fallen victim to scams or have been contacted by potential scammers. We also get a lot of email from scammers (I have personally received 18 fraudulent emails today, including one from the IRS scammers mentioned below). The Federal Trade Commission (FTC) has designated this week as Tax Identity Theft Awareness Week to warn consumers about two of the ways tax scammers might target you. If you get a letter like this, contact the IRS Identity Protection Specialized Unit at 800-908-4490. 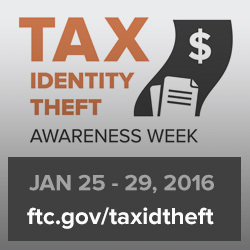 You can find more about tax identity theft at ftc.gov/taxidtheft and irs.gov/identitytheft. This time scammers aren’t pretending to be you — they’re posing as the IRS. They call you up saying you owe taxes, and threaten to arrest you if you don’t pay right away. They might know all or part of your Social Security number, and they can rig caller ID to make it look like the call is coming from Washington, DC – when it could be coming from anywhere. Leaving you no time to think, they tell you to put the money on a prepaid debit card and tell them the card number right away. The real IRS won’t ask you to pay with prepaid debit cards or wire transfers, and won’t ask for a credit card number over the phone. When the IRS contacts people about unpaid taxes, they usually do it by mail. If you have a question about your taxes, call the IRS at 800-829-1040 or go to irs.gov. You can report IRS imposter scams to the Treasury Inspector General for Tax Administration (TIGTA) online or at 800-366-4484, and to the FTC at ftc.gov/complaint. Preparing a comprehensive estate plan to protect a child with special needs can be an emotional roller coaster. On the one hand, parents should be relieved that they are taking steps to guarantee that their child will be well cared for after they are gone. On the other hand, confronting one’s own mortality and having to decide who will manage the affairs of a child with special needs can be stressful. Choosing someone to become the guardian of your child is not a decision that should be made lightly, but this doesn’t mean that the decision should keep you up at night, either. Start by putting together a list of potential candidates. Don’t spend a lot of time worrying about the list; just write down anyone who could potentially serve. Then go through the list and eliminate anyone who, for whatever reason, doesn’t strike you as an optimal choice, keeping in mind that no one is going to be a perfect substitute for the original parent. Chances are, this ten-minute exercise will immediately winnow your options down to a couple of people. Once you’ve narrowed down your options, take some time to think about each person on the short list. But don’t get hung up on choosing a person yet; you will still have some work to do. The key at this stage of the game is to not get overwhelmed with worry about your choices, especially since you haven’t even asked anyone on your list if they are willing to serve. One of the biggest mistakes parents of children with special needs make is getting so caught up in the decision making process that they don’t go ahead with their planning at all. Don’t let this be you — make your list, start to narrow it down, and then proceed to the next step. But whatever you do, don’t stop planning. After you’ve narrowed your list of potential guardians down to a few names, talk to each one (separately) and ask them if they are willing to serve. Don’t put these people on the spot with statements like, “If you don’t do it, I don’t know what we’ll do,” and encourage each person to be honest with you about his or her questions and concerns. Don’t look for immediate answers; give your potential guardians time to think about things and get back to you if they are on the fence. This conversation may immediately narrow down your list, as some people may tell you that they absolutely will not or cannot serve. At the same time, talking face to face with your choices may help you to weed out a few more people. After speaking with your prospective guardians you may be able to make a decision about who will serve. But if you still need to think about your choice, keep a few things in mind. First, you can always change your nomination at a later point, and, in fact, many people do. For instance, it may make sense for young parents to name their parents or older relatives as guardians while those people are still fairly young and then change their estate plans when the original nominee gets too old to serve. Likewise, as friends and family move away, parents may have to update their estate plans as the guardian they have picked for their child no longer lives in the area. Nothing is set in stone. o Do I want my child to stay in his community and is the guardian willing to move here if she doesn’t already live here? o Does the guardian have experience working with people with special needs? o How does the guardian interact with my child specifically? o Does the guardian have too much going on in his own life to care for a child, especially one with special needs? o Does the guardian have children, how old are they and can the guardian take on another child? o How old is the guardian? Do I have a backup in case he or she can’t serve? o Does the guardian share my values about things like religion, education and finances? Although the decision making process may not be easy for every family, it is a necessary one. Remember, the worst thing that you can do is to leave guardianship to chance, which is what will happen if you don’t have an estate plan that reflects your wishes. Once you’ve followed these simple steps and made your decision, put it into effect by meeting with your special needs planner and drafting the proper documents immediately. Again, don’t put it off.